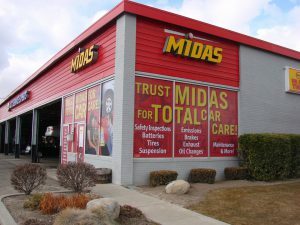 If you are not advertising on your store front you are missing out! You already have the space, you might as well use it for broadcasting your message. 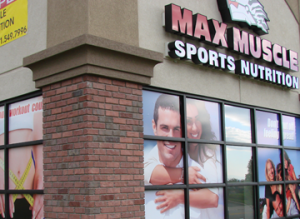 With building wraps you can stand out from the surrounding area and get noticed. 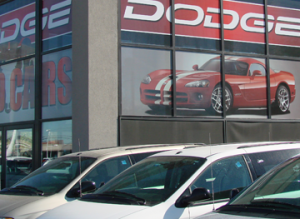 Aside from the advertising impact, there are several other benefits to building wraps. First, by wrapping your building you create location memory. In other words, when a customer sees your building it will create a lasting impression. When the time comes that they need your product or service you will be at the top of their mind. Second, it is great investment. 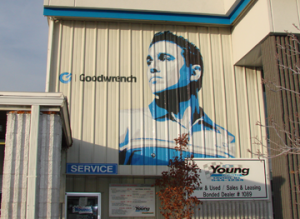 Whereas a billboard is a monthly cost, wrapping your building is a one time expense that keeps working for years. Lastly, building wraps can help reduce the heat and glare coming into your building. 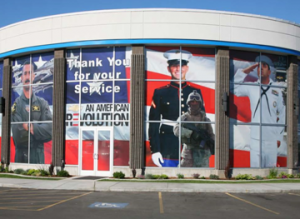 In fact, many of the building wraps we do start out as a customer wanting to tint their windows and discovering that they can get a dual benefit of an advertising message for around the same cost. 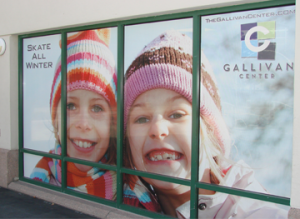 We have a wide range of printed products that can cover virtually any surface; glass, bricks, stucco, cement, etc. are all fair game!